Arriving on time within a specified window that suits you best, we have have worked on makes like Holden and Alfa Romeo, completing the job on time and minimising the hassle for vehicle owners trying to get between locations in the interim. We carry out industry leading services and repairs, keeping vehicle owners aware of anything we do and why we’re doing it while the job is taken care of wherever you prefer your vehicle to be worked on. Over the past three months we have received 27 positive reviews from satisfied customers who now know how fast and easy it can be to have their vehicles attended to on site by one of the 7 in Sunshine Coast rather than having to travel to mechanic workshops. 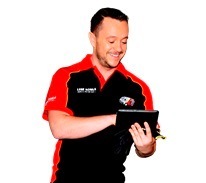 Book a mobile mechanic today and find out why Lubemobile is Australia’s #1 fleet of vehicle specialists. You might have already seen a Lubemobile mechanic around your area. Commonly serviced vehicles in and around your local area have been Toyota, Holden and Mazda. Our mechanics arrive on site fully equipped and experienced to service all vehicle types. Recent clients have had their Daihatsu, Subaru and Peugeot completely serviced and repaired at their home address, their workplace and even their holiday destination. Parts are only of the highest quality and spares are sourced quickly and efficiently to ensure that your time is affected as little as possible throughout the repairs. Mechanics have on hand spares and parts like slave cylinder, heater and starter fuse ready. We service your vehicle at the time that suits you, wherever you are. 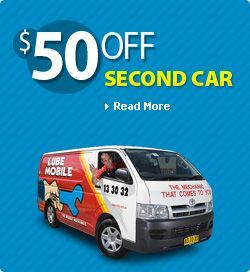 Lubemobile is the trusted Australian mobile mechanic fleet servicing vehicles all over Australia. We travel everywhere from Coolum Beach to Buderim, Coolum Beach and Noosaville. That includes home and office locations, and even holiday destinations. Equipped for a full vehicle service on the spot, we’ll keep your car servicing up to date when and wherever you need us. Our mobile mechanics have already attended to and serviced 703 vehicles in your area over the last year completing full services and repairs like Log book servicing. There is no need to travel into a shop. We are the completely mobile mechanical fleet attending your vehicle at your designated location to complete everything from alternator inspection and replacement to removing and fitting water pumps. Use our on site tyre specialists for all your vehicle’s tyre and wheel needs.